The biggest mix tape of the year will soon be available to buy on cassette tape. 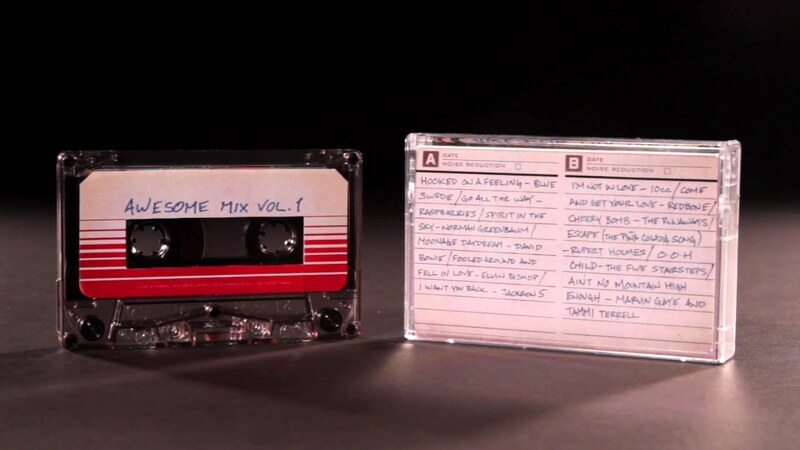 The Guardians of the Galaxy: Awesome Mix Vol. 1 soundtrack will be issued on cassette Nov. 17, just in time for Black Friday (Nov. 28). It was already issued earlier on compact disc, digital download and vinyl LP. The cassette bows shortly before the Guardians of the Galaxy film is released on DVD and Blu-ray on Dec. 9. It's weird that I should come across this. Just today I remembered a cassette that I recorded in 1982 of a band called "Krash" at Tomorrowland Terrace* and I think I still have the casette in storage. If it turns out that I do I'll of course transfer it to MP3. *Why are so many restaurants at Disneyland with "terrace"? Terrace does not mean "restaurant" so it's a misnomer. When I go to Disneyland, I tune my FRS Radio to channel 2, without a quiet code. They're faster than a cell phone and you can talk to a whole group at a time, and you don't have to get everyone's cell phone number in advance. All times are GMT-8. This page was generated at 09:04 AM.